Remembers Deserving Fans: A few years ago the Guardian documented perhaps the most prominent “nice guy” anecdote to Grohl’s name — he recognized a fan with cerebral palsy who had sent him and the Foos photos of her dancing to their music and spent 20 minutes chatting with her after a show. At a later Queens of the Stone Age gig (he was sitting in on drums), he recognized her again, and invited her to attend their video shoot the next day. Dave Grohl: nice even when nobody’s documenting it on camera. 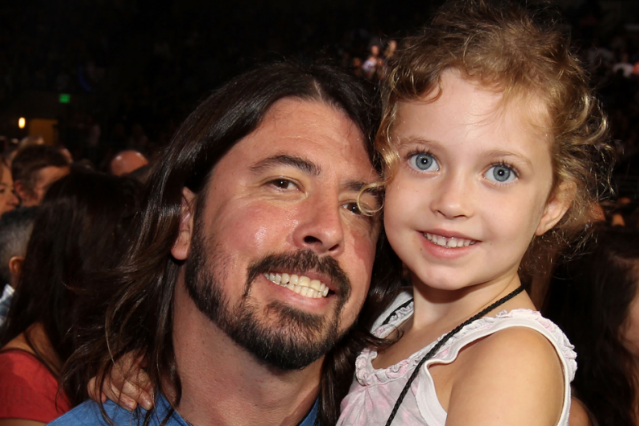 Supports Charities: According to Look to the Stars, a celebrity giving monitor, Grohl has donated to roughly a billion children’s charities, including 21st Century Leaders, Worldwide Orphans Foundation, and Teen Cancer America. Sits in for Sick Colleagues: When Cage the Elephant drummer Jared Champion’s appendix burst in October right before the band was to play a show in Salt Lake City, Grohl stepped in and saved the day. Gives Superfans the Bootlegs They Want: A month after winning basically all the rock Grammys last February, the Foos gently reminded fans just how old-school (and nice!) they’ll always be by throwing up a stream of their 1995 Reading Festival set with — surprise — a très analog cassette tape skin on their website. Muppeteers Even At Risk of Courtney Love’s Disdain: Grohl’s appearance in The Muppets last year as the drummer of “The Moopets” was bolstered by the inclusion of the Muppet cover of “Smells Like Teen Spirit” that pissed Love off so much. Kermit and Miss Piggy (and Fozzie, and Animal…), we’re sure thank him for his support. Hate-Protests the Hate-Protesters: Before a Kansas City, Missouri, show last fall, Grohl and the rest of the Foo Fighters gave a group of hate-mongering anti-gay Westboro Baptist Church protesters a taste of their own medicine by dressing up like “rednecks” and performing a goofy country spoof about, among other things, “hot man muffins” while the group picketed their show.